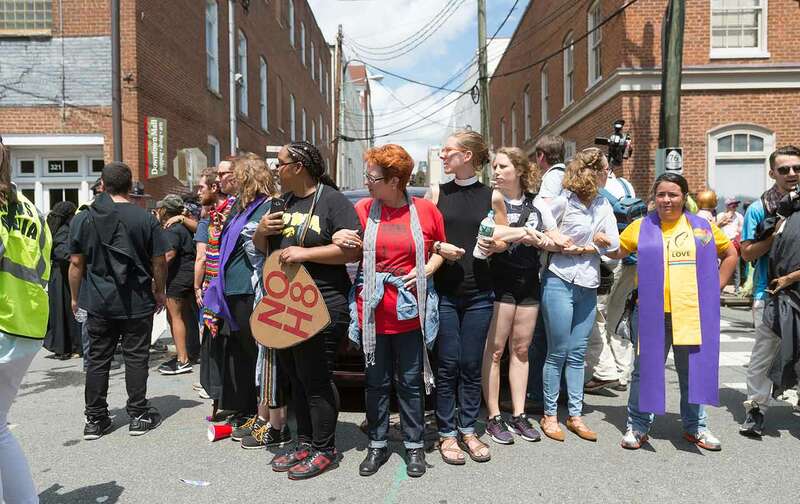 It was encouraging to read that tens of thousands of people rallied in cities across the United States yesterday to protest deadly violence by a mob of Ku Klux Klan members and neo-Nazis during a rally in Charlottesville, Virginia, the day before. The far-right’s open bigotry, coupled with the violence, struck many as a dangerous inflection point. Racial violence has never not been a part of American history, but up until recently racism was seen as something to veil, to obscure. Dog whistles were the thing. Now, everyone hears the sadistic sounds. The good news is that there are still more of us than there are of them. Far more. My colleague Sarah Arnold has assembled a good list of ways you can stand in solidarity with the victims of this weekend’s violence. Sara Benincasa has a great post up detailing important groups on the ground that can really use our support. The UVa Graduate Coalition also released an invaluable resource in response to the largest fascist gathering in the United States in recent memory: The Charlottesville Syllabus seeks to explore the local historical and contemporary precedents for this gathering, to give it history and context, to denounce it, and to amplify the voices of community members most affected by this “alt-right” occupation of space. A new and ongoing project, the syllabus is meant to be expanded, revised, and copied. Featuring contemporary and archival primary and secondary sources (articles, books, responses, a documentary, databases, encyclopedia entries) and a list of terms for discussing white supremacy, the document should be useful to educators, parents, and anyone looking to better understand and explain the historical trends that have bought us to Charlottesville.